Hitgeheim Country Lodge offers accommodation on an elegant Garden Route country lodge estate located only minutes from the Addo Elephant National Park. 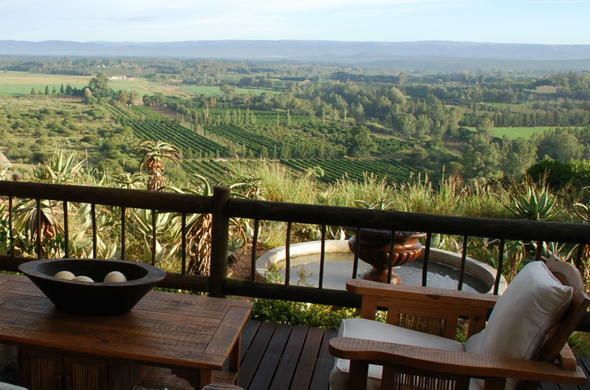 Hitgeheim Country Lodge is located on a scenic malaria free eco-reserve in the tranquil Sundays River Valley. This Garden Route country lodge estate is conveniently situated only minutes from the well-known Addo Elephant National Park. Guests are accommodated in elegantly furnished chalets. Each chalet features luxury bathrooms, outdoor showers and their own private wooden decks offering guests breathtaking views over the countryside and citrus orchards. Look forward to a range of exciting activities while staying at Hitgeheim Country Cottage. Join a safari in the Addo Elephant National Park with an experienced guide. Alternatively, search for the Big Five at one of the nearby private game reserves. End the day with a delicious candlelight dinner while sipping on a glass of wine.